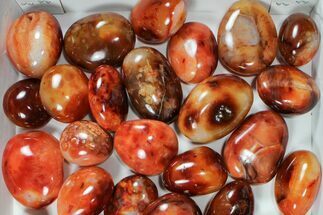 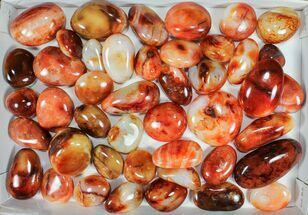 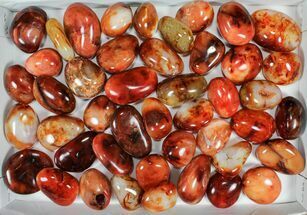 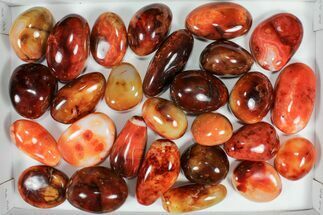 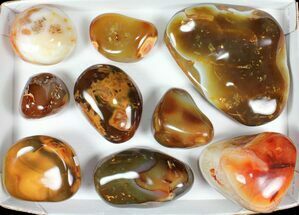 This is a lot of 9 pieces of gorgeous, richly colored, polished carnelian agate from Madagascar. 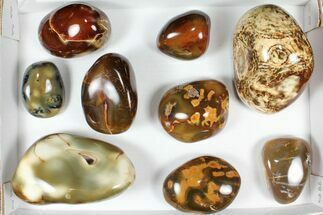 The specimens range from 5 to 3" wide and show a large variety of reds, oranges, browns, and even some greens and blues. 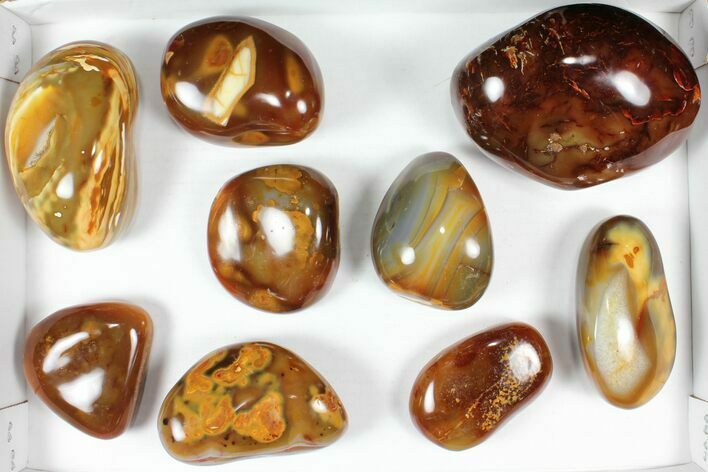 This lot weighs in excess of 11 lbs.